UK 1st edition 1st impression hardback. Published by Ebury Press 2005. The wrap is fine with some light edge wear. The book is fine, pushed at the tail and lightly tanned edges. 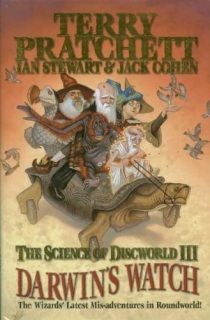 A Discworld story interspersed with the real science behind it. Roundworld is in trouble again, and this time it looks fatal. Having created it in the first place, the wizards of Unseen Univeristy feel vaguely responsible for its safety. They know the creatures who lived there escaped the impending Big Freeze by inventing the space elevator - they even intervened to rid the planet of a plague of elves, who attempted to divert humanity onto a different time track. But now it's all gone wrong - Victorian England has stagnated and the pace of progress would embarrass a limping snail. Unless something drastic is done, there won't be time for anyone to invent spaceflight and the human race will be turned into ice-pops. Why, though, did history come adrift? Was it Sir Arthur Nightingale's dismal book about natural selection? Or was it the devastating response by an obscure country vicar called Charles Darwin, whose bestselling Theology of Species made it impossible to refute the divine design of living creatures? Either way, it's no easy task to change history, as the wizards discover to their cost. Can the God of Evolution come to humanity's aid and ensure Darwin writes a very different book? And who stopped him writing it in the first place? UK 1st edition 1st impression hardback in pictorial boards. 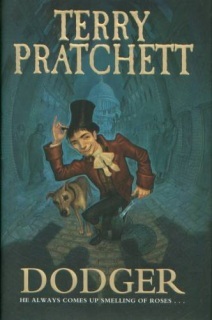 Published by Greenwood Books in 2007. 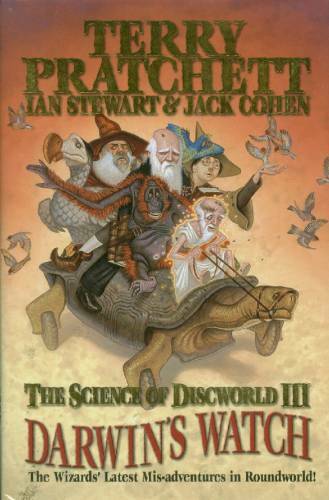 This work is an essential reading for fans of Pratchett's bestselling science fiction and fantasy novels who want to pick the allusions and appreciate the complexity of one of the great work of Pratchett's playful narratives. This encyclopedia mixes shorter entries conveying specific information for foraging readers with longer articles concerning the scientific, social, and philosophical ideas for readers wanting more reflective engagement with the texts. 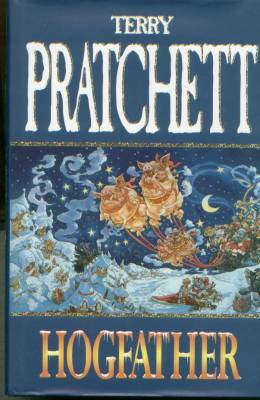 Published by Gollancz in 1990. The book is fine, new and unread. Spine uncreased. The slightest wear on the corners. 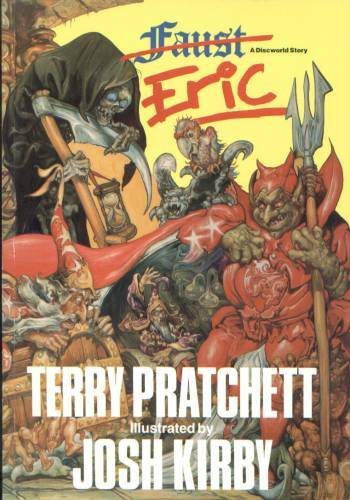 Thirteen-year-old Eric and Rincewood the wizard have many adventures trying to escape from the equally horrifying and ludicrous beings and places of the magical Dungeon Dimension. 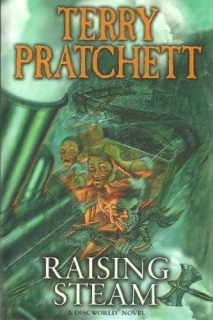 Published by Gollancz in 1996. The wrap is near fine with a little edge wrinkling. The book is fine and appears unread. Edges slightly discoloured. Susan had never hung up a stocking . She'd never put a tooth under her pillow in the serious expectation that a dentally inclined fairy would turn up. It wasn't that her parents didn't believe in such things. They didn't need to believe in them. They know they existed. They just wished they didn't. 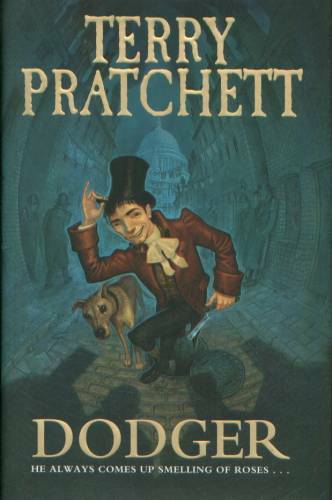 Published by Doubleday in 2007. The wrap is vg+ with some edge creasing and corner chipping. 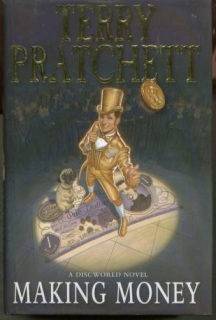 The book is near fine, head and tail pushed and is very slightly cocked. Signed on the title page with no inscription or dedication. It’s a job for life. But, as former con-man Moist von Lipwig is learning, the life is not necessarily for long. Oh. And every day he has to take the Chairman for walkies. Everywhere he looks he’s making enemies. What he should be doing is . . . Making Money! 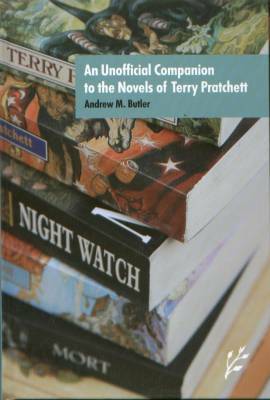 Published by Doubleday in 2012. A storm. Rain-lashed city streets. A flash of lightning. A scruffy lad sees a girl leap desperately from a horse-drawn carriage, in a vain attempt to escape her captors. Can the lad stand by and let her be caught again? Of course not, because he's . . . Dodger! King of the Sewer toshers! Published by Doubleday in 2013.